LEXINGTON The October meeting of the Lexington Medical Society (LMS) on October 9, 2012 at The Red Mile Clubhouse honored LMS past-presidents from 1968 through 2011. Nineteen past presidents attended the annual event. In near record time, under 30 seconds, the membership accepted the nominating committee’s report for the LMS officers for 2014. A vote that the featured speaker, Congressman Ben Chandler, D-6th District, US House of Representatives said should be imitated in Washington. Chandler addressed the LMS membership and spoke of the difficulty of passing legislation in Congress when the extreme wings of each party attempt to dominate the process. “Being a moderate, I get attacked by each side,” said Chandler who is running for reelection in November. The Affordable Care Act is an example, said Chandler, of a bill that has elements that he both agreed with and disagreed with. Chandler stated that the PPACA needed modification, not repeal. LOUISVILLE The Kentucky Medical Association (KMA) Annual Meeting was held September 10–12 in Louisville. KMA officers for 2012–13 are Linda Gleis, MD, secretary-treasurer; Fred A. Williams, MD, president-elect; Uday V Dave, MD, president; William C. Harrison, MD, vice-president. Honors for individual achievement awards were presented to William E. Doll, Jr, Outstanding Layperson Award; Baretta R. Casey, MD, MPH, Distinguished Service Award; Rice E. Leach, MD, Community Service Award; Randall G. Rowland, MD, PhD. 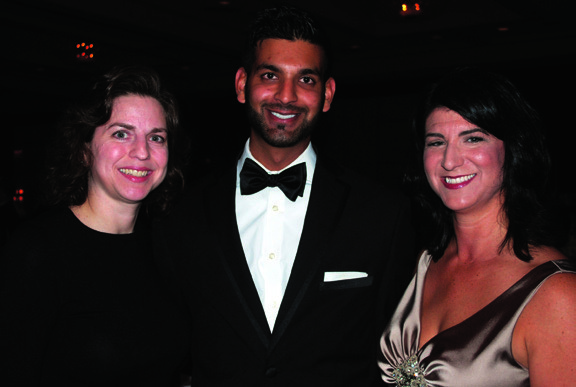 LOUISVILLE Over 650 physicians and healthcare community leaders attended the annual Doctor’s Ball on Saturday October 13 to honor Louisville physicians and to raise nearly $300,000 for Jewish Hospital & St. Mary’s Foundation.